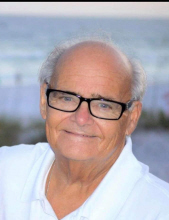 Michael “Augie” Price, 75, of West Frankfort, Illinois, passed away Monday April 15, 2019 in Herrin Hospital at 5:08a.m. Michael was born April 26, 1943 in Sault Sainte Marie, Michigan to Sylbert and Ula Faye (Clark) Price. He loved his wife and family especially his grandchildren and great grandchildren. He was in the Army National Guard and a member of Immanuel Baptist Church – Benton, Illinois for 21 years. Michael was the general manager for Vic Koenig for over 20 years. He went to Benton High School and attended Carbondale High School his senior year. During this time, he played football with the Bleyer’s Untouchables and had an undefeated season. Michael graduated from SIU with a bachelor’s degree. He was an avid golfer and loved the St Louis Cardinals. Michael married Marlene Fielder on January 6, 1978 and she survives. Michael is survived by his wife, Marlene Price; son, Don (Amanda) Bethune; daughters: Shannon Lynn Price and Jennifer Price Hall; nine grandchildren; and four great grandchildren. Funeral services will be held at 2:00p.m. on Friday April 19, 2019 at the Union Funeral Home – West Frankfort, Illinois with Ministers Sammy Simmons and Eddie Paul Davis officiating. Burial will be in the Masonic and Oddfellows Cemetery – Benton, Illinois. Visitation will be held Thursday April 18, 2019 from 5:00-8:00p.m. at the funeral home. Memorials may be made to the American Heart Association or to The American Cancer Society. Envelopes will be available and accepted at the funeral home. To send flowers or a remembrance gift to the family of Michael Augustus Price, please visit our Tribute Store. "Email Address" would like to share the life celebration of Michael Augustus Price. Click on the "link" to go to share a favorite memory or leave a condolence message for the family.